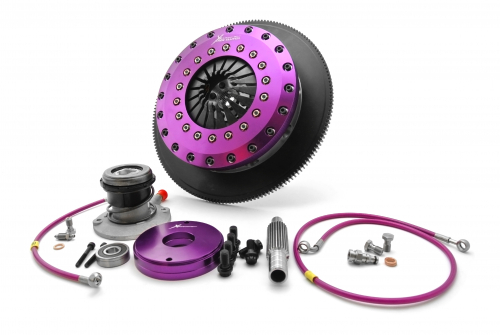 Xtreme Clutch has been at the forefront of performance clutch technology for decades. Our in house testing machinery and close bonds with motorsport has allowed us to do extensive testing on various combinations of material and disc designs to suit high performance and racing applications. The Xtreme Clutch name has become synonymous with high performance. Your Xtreme Clutch has been designed and developed in-house using state of the art CAD software and testing machinery. This results in a clutch that exceeds application requirements for performance, wear and driveability in the long term. Australian Clutch Services is an Australian owned company and a name that is synonymous across the nation with being the market leader in the supply of new and re-manufactured clutch components and systems. Operating since 1988, ACS has outgrown several warehouses and now operates out of a purpose built facility in the industrial hub of Adelaide, incorporating Manufacturing, Research & Development, Sales & Service, Warehousing, and Distribution into the one facility. Australian Clutch Services is the parent company of brands such as Xtreme Clutch, Xtreme Outback, ClutchPro, AG Clutch and Classic Clutch. ACS has a commitment to quality and their technical knowledge. This ensures the sales staff and customers a well presented and quality finished product. Technical information is continually updated and managed by online databases, and every model of clutch is individually tested and catalogued, giving us the edge in product knowledge. ACS has implemented the most comprehensive clutch technical and application database in the country including their own brand websites and online catalogues for each product range. We cater for all customer's needs for Automotive, Commercial, Agricultural, Forklift, Marine and Industrial. ACS are Australia's clutch and flywheel specialists.